Laurel Lakes apartments in Laurel MD is a four-story, elevator building with one and two-bedroom senior homes. It is a community designed for today’s seniors with moderate incomes, 55 years and better. The well designed apartment homes feature wall to wall carpeting, all electric kitchens, large, sunny windows and individually controlled heating and air conditioning. Peace of mind features include grab bars in the bathroom, smoke detectors, emergency pull cords and a complete sprinkler system. The property is situated on 4.3 beautifully landscaped acres and is within close proximity to a broad variety of shopping facilities, medical offices and the Laurel Lakes Community Center. The community is also within minutes of the brand new Town Center with a wide variety of shopping, dining and entertainment options. As with all senior communities managed by ResidentialONE, Laurel Lakes Senior apartments in Laurel MD is a Senior Life Community. This program ensures a high level of commitment to treating residents with compassion, patience and respect while making the community a place residents will be proud to call home by providing service oriented management and innovative resident programs. 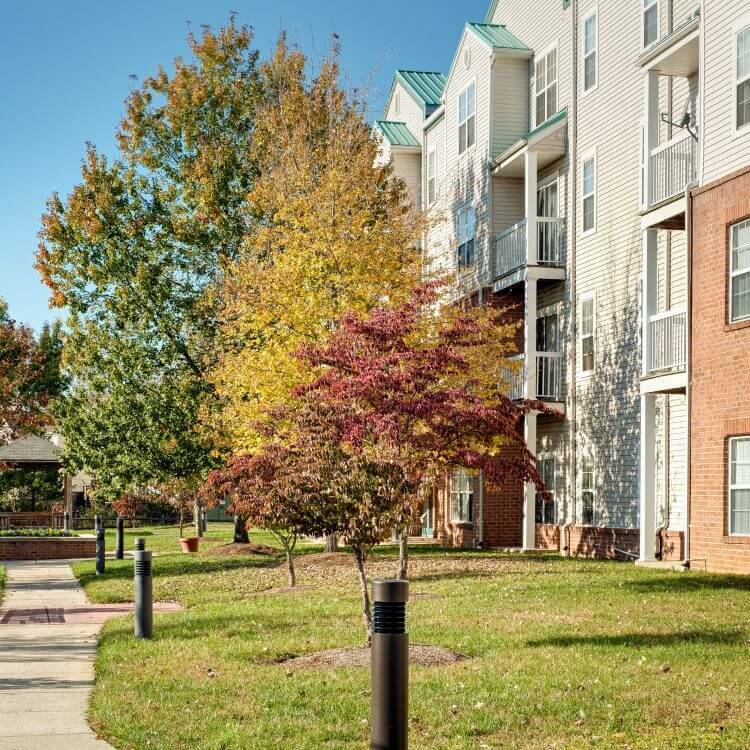 Visit our website to view our apartments in Laurel, MD at Laurel Lakes. *Limited time offer. See Leasing Consultant for details.